Kingswood Camp is a Christian camp situated on Lake George in Kings County, Nova Scotia. 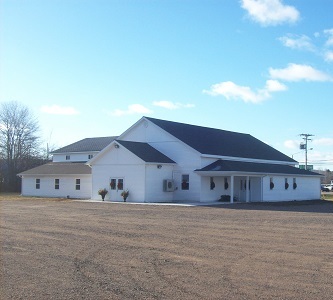 We are owned and operated by the Eastern Valley United Baptist Association and run in cooperation with the Annapolis-Digby Baptist Association. We seek to honour God by providing an atmosphere where campers encounter Jesus Christ and grow as His disciples through wholesome relationships with dedicated Christian leaders, in an inviting outdoor setting, while participating in safe programs and activities relevant to their physical, emotional, social, and spiritual development. We are a member camp of CCI/Canada (Christian Camping International/Canada) and CANS (Camping Association of Nova Scotia). We appreciate your generosity, this ministry would not be able to continue without the support from people like you. Annapolis-Digby Baptist Assosiation's Annual meeting will be held at Digby Bapist Church. The theme this year is Congregational Living. Our speaker will be Rev. Joanna Doak, Youth and Creative Outreach Coordinator. Bulletin Sponsorship: If you wish to sponsor/donate any weekly and/or special bulletins, please contact either Gerri or Nelly to reserve a date. Cost of the bulletins is $15.